Why would I need self storage in Niles, IL? There are a variety of reasons why you might need self-storage in Niles, IL. How much is a storage unit in Niles, IL? The cheapest storage unit in Niles, IL is $28.00 per month. What size storage units do you have available in Niles, IL? In Niles, IL we have sizes that range from 5'x5' to 10'x30' to suit your storage needs. How much is it for a 5'x5' storage unit in Niles, IL? The cheapest 5'x5' storage unit in Niles, IL is $28.00 per month. Niles is a village in Illinois' Chicago metropolitan area, 3 miles west of Skokie and 13 miles northwest of Chicago's city center. The village is most famous for its Leaning Tower of Niles, a local landmark that's been featured in a handful of movies and national publications. The first inhabitants in the area that's now Niles were the Potawatomi Indians, who settled the land in the 1700s. European settlers arrived in the 1800s, lured by its affordable, high-quality farmland. John Schadegar and Jules Perren, who built Niles' first log cabin in 1832, were among the first of these settlers. In August 1899, Niles was officially incorporated and John Huntington became its first mayor. The village's name reportedly came from the Niles Register, a Washington, D.C., newspaper published in the 1820s. In 1932, Niles' famous replica Learning Tower of Pisa was built to cover the swimming pool water tank at a new recreational park. 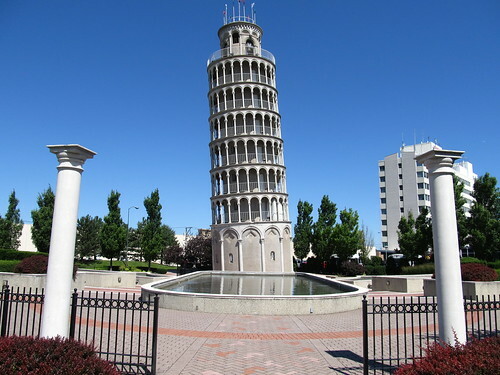 The Leaning Tower was restored in 1997, ensuring it will remain a key tourist attraction for Niles. When Niles was incorporated, only 500 people lived in the city, but today its home to a mid-size population that has grown considerably. There are many good reasons to consider moving to Niles, Illinois. It boasts a diverse and strong economy with excellent job growth and easy access to Illinois' cultural and business center, Chicago. There are plentiful job opportunities in Niles and its nearby towns and cities, and job growth is positive. Unemployment also sits below the national average, which is great news if you're planning to join the local job market. The village is home to more than 1,300 businesses in a variety of industries, including manufacturing, professional services and retail. The Niles' economy includes household names such as Coca-Cola, The Bradford Exchange, Shure and major national retailers including Costco, Kohl's and Home Depot. All of these businesses provide a number of jobs in many different roles. The city's largest employers include W.W. Grainger, Shure, The Bradford Exchange, MPC Products and the Coca-Coca Bottling Co. There are a few private Catholic schools in Niles, as well as Logos Christian Academy, a Romania-Baptist campus. Utilities: Nicor Gas and Commonwealth Edison are the major energy providers in the area, while the village oversees water services. Garbage and Recycling: Groot Industries manages trash and recyclables collection for single-family and multi-family communities. Transportation: The Niles Free Bus system provides no-cost transportation to a number of public facilities and shopping centers in the city, with stops within easy access of residential areas. Pace Bus operates a rapid transit line (called Pulse) that's a popular commuter option. Niles offers a variety of housing options to cater to all tastes and budgets. Choose from traditional single-family homes, modern condominiums, and luxury homes on spacious blocks of land. Because Niles is such a well-developed suburb of Chicago, housing prices are fairly high. The median home price is well above the national average, and also more expensive than many other communities in the area. Our lowest priced units in Niles, IL average $30.00 per month. 152 people have reserved units in Niles, IL in the past 30 days. There are 2 locations within Niles, IL's city limits. There are 2 locations in Niles, IL that offer AC and Heating features.